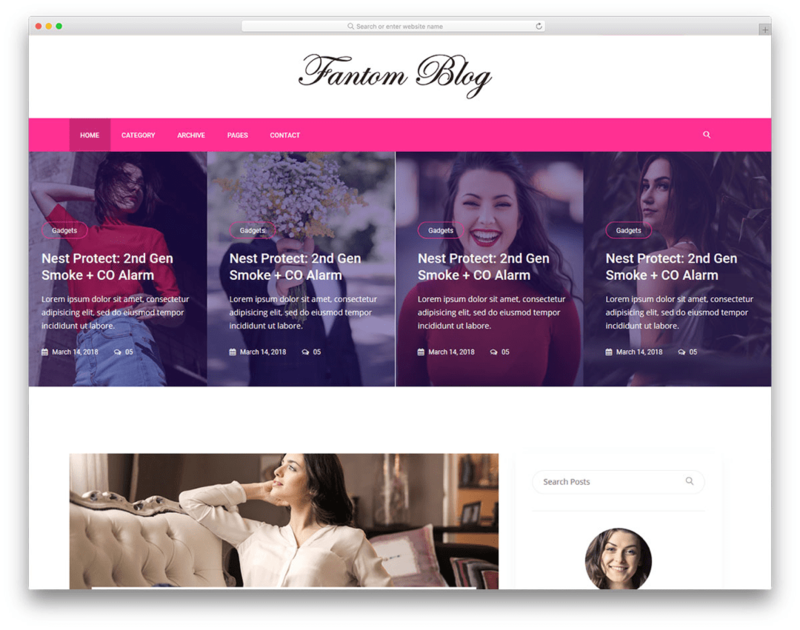 There are two things that Fantom excels at: getting you online ASAP and being an excellent platform for blogging. With Fantom, getting online will take just a few minutes, after which you'll be able to spread your content. That’s basically no time at all! It’s a true modern blogging gem: integrate various widgets and other features effortlessly! Maps, social media, carousels, menus, and sliders, everything can be adjusted in seconds. Function isn’t the only upside! Form-wise fantom shines just as much! A graceful design, that sticks to a tasteful minimalism, while being right by the latest trends! All in all, with Fantom you’ll get a beautiful platform not just for blogging, but for conversations, brand building and much more!